Officials and experts fear Chinese goods could flood Vietnam, affecting both domestic sales and exports of Vietnamese firms. 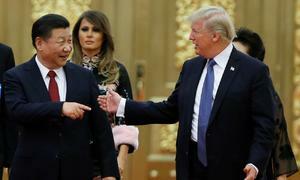 The first salvo in the latest trade war between the U.S. and China was fired by the former last Friday, when it slapped a 25 percent duty on about $34 billion worth of Chinese goods. China retaliated “immediately” with a similar action, the country’s foreign ministry said. However, the tariffs that the U.S. has slapped on China will likely see Chinese products “flood into Vietnam,” including textiles, garments and wood products, said Tran Tuan Anh, Minister of Industry and Trade. 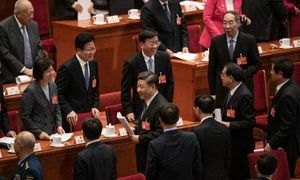 This is not only a trade war but also “a war on power, technology and currency policy between the world’s two largest economies,” Anh said at a recent government meeting. 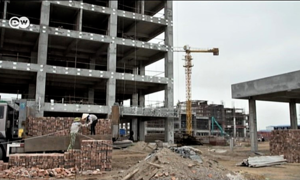 The trade war will have negative impacts on Vietnam’s economy as China will take the opportunity to export in large quantities to Vietnam, according to local economists. The Chinese yuan has lost 4.18 percent against the U.S. dollar over the last two weeks, while the Vietnamese dong has only lost a little above one percent, so Chinese goods will be 3 percent cheaper than before when exported to Vietnam. This will increase Chinese exports and gradually take away jobs and manufacturing facilities in Vietnam, they said. Another worrying aspect of the situation is that low quality products from China, which are labeled as residual inventory of exports to the U.S., will rush into Vietnam and be bought by Vietnamese consumers, said Robert Tran, CEO of global business advisory firm RBNC. Some experts also fear that Vietnam might be one of the next targets of the U.S. When the world's two largest economies slap tariffs on each other, other countries will be affected in trade, said Dr. Pham Sy Thanh of the Chinese Economic Studies department under the Vietnam Institute for Economic and Policy Research. “When Vietnamese exports to the U.S. originate from China, the U.S. can also impose the same tariffs on Vietnam,” Thanh told local media. This will be a big challenge for Vietnam as the U.S. is one of Vietnam’s top export markets, he added. Industry leaders in Vietnam have also expressed similar concerns. Many Chinese clothes, shoes or bags are entering Vietnam illegally to be exported to the U.S., said Pham Xuan Hong, chairman of HCMC Association of Garment, Textile, Embroidery and Knitting (AGTEK). 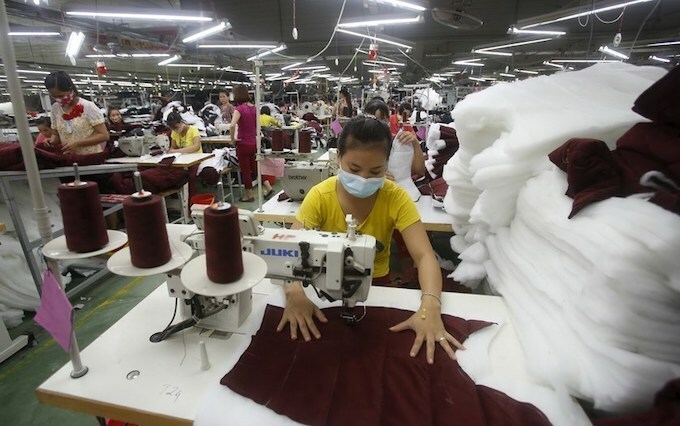 “Local firms should not buy these items for short-term benefits as the reputation of Vietnam’s textile industry will be affected,” Hong said. The Vietnamese government should get involved in preventing local firms from importing Chinese products to export to the U.S., he added. Beyond the potential threats, Vietnamese business leaders also see great opportunities in the trade war. AGTEK chairman Hong noted that Chinese textile is one of the items affected by the U.S. tariffs, so there are chances that foreign investors will transfer orders to Vietnamese firms. The animal husbandry sector is also looking at the bright side of the trade war. With China saying it will impose an additional 25 percent tariff, on U.S. pork, the total tariff will rise to 71 percent, exclusive of VAT, said Doan Xuan Truc, vice chairman of the Animal Husbandry Association of Vietnam (AHAV). “This will definitely be a great opportunity for Vietnam, as China has huge demand for pork,” Truc said, adding that it imports over 2 million tons of pork each year. Exports to the U.S. reached $41.6 billion last year, accounting for 20 percent of Vietnam’s total exports, according to Vietnam Customs. Meanwhile, it exported $35.4 billion worth of goods to China, a growth of 61.5 percent from 2016.